AKA's new music video seems to be a fail in the eyes of Twitter users, Mariah is back, and Kylie Jenner gets real about bullying. Get your Friday edition of #HotGoss here. 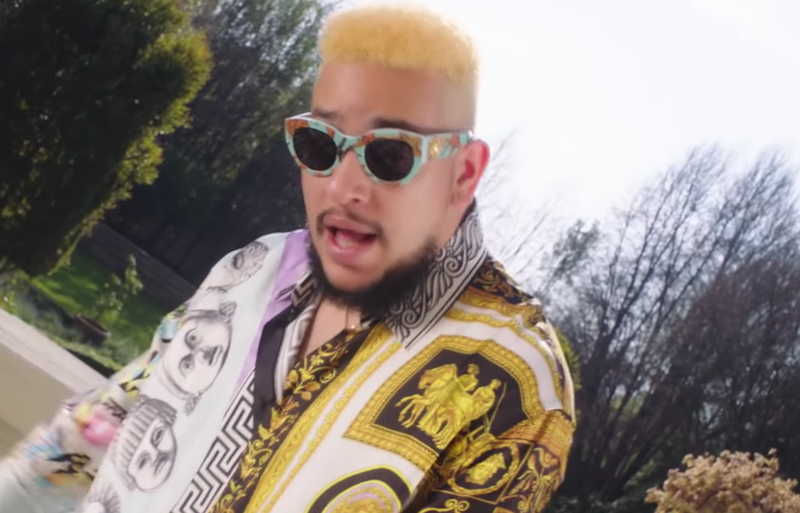 Supa Mega is making headlines after his new music video for 'Fela in Versace' dropped on Thursday. While AKA is usually known for flashy music videos with all 'dem extras, the majority of Twitter users are saying that the visuals in the video were a fail, although the song itself is flames. 'Fela in Versace' features Nigerian record producer, Kiddominant. Since the video was uploaded to YouTube, it already has over 120,000 views and trended at number three at the time of writing. The #FelaInVersaceVid is so terrible especially where it's shot in the day. @akaworldwide get new directors man. Like the guy who shot mayo/tito mboweni. GTFO and shut the front door - Mariah Carey has a new song! The diva released new music on Thursday. The sultry single is called 'GTFO' (short for 'Get the F**k out') and is the perfect track to play for a partner who has wronged you... *points to the door*. How 'bout you get the f**k out? At 48, Mariah is still looking as gorgeous as ever. Like a fine wine, she only gets better with age. Being in the public eye as much as the Kardashians and Jenners are, they often find themselves at the mercy of trolls who use their online identity to spew hate and viciousness. Big name celebs like Kylie Jenner go through real-life issues too. Her sister, Kendall took to her Twitter account to share an emotional video posted a few years ago by her sister, Kylie, who confessed that she was a victim of bullying. In the emotional video, Kylie tells of what age bullying began for her and went on to share some much-needed advice to innocent victims. It's refreshing to see the realness of a celebrity opening themselves up and being vulnerable for a change.